Stephanie is becoming a bit of an old timer! We saw her once before when we tied back her long hair into the Sleek Chic Bun. She recently took the plunge and chopped a long bob. With her new style we wanted to play up the shorter length. 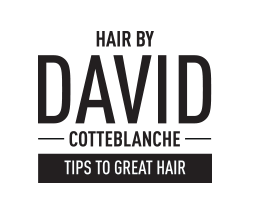 David was inspired to try a 1920’s short do and have some fun with a vintage feathered hairpiece. Using pincurl set and braided in the back. Remove clips, brush out take lenghs and pint it into the braid.